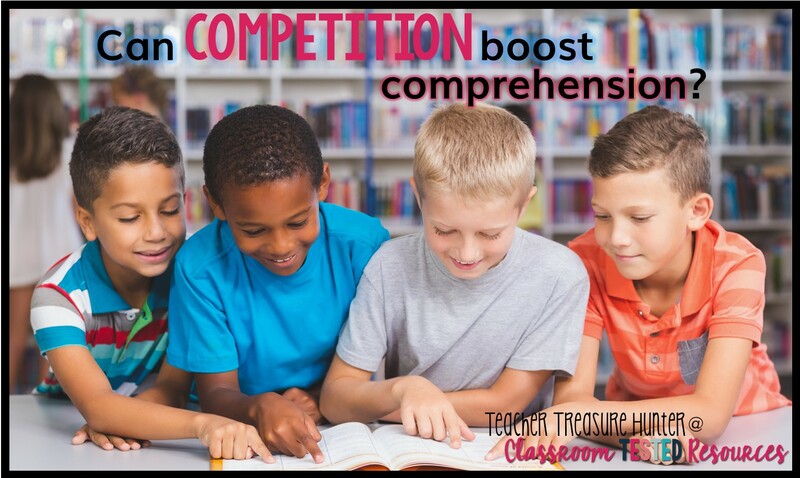 Can competition lead to increased comprehension? Can competition lead to increased comprehension? This seems like a bad combo. We've nearly eliminated competitiveness in some schools -- sometimes to ridiculous extremes. However, we usually try to avoid it in class. We don't want one student to be the best at something -- all students can succeed. So, why would I have this idea and what successes have I experienced that prompted me to explore this idea? I have to briefly go back to my childhood in the 80s first. I was a voracious reader as soon as I started reading. I was one of those kids who had a book for every car trip and tried to read in the dark (you know, wait for each street light so you can read a few more words). 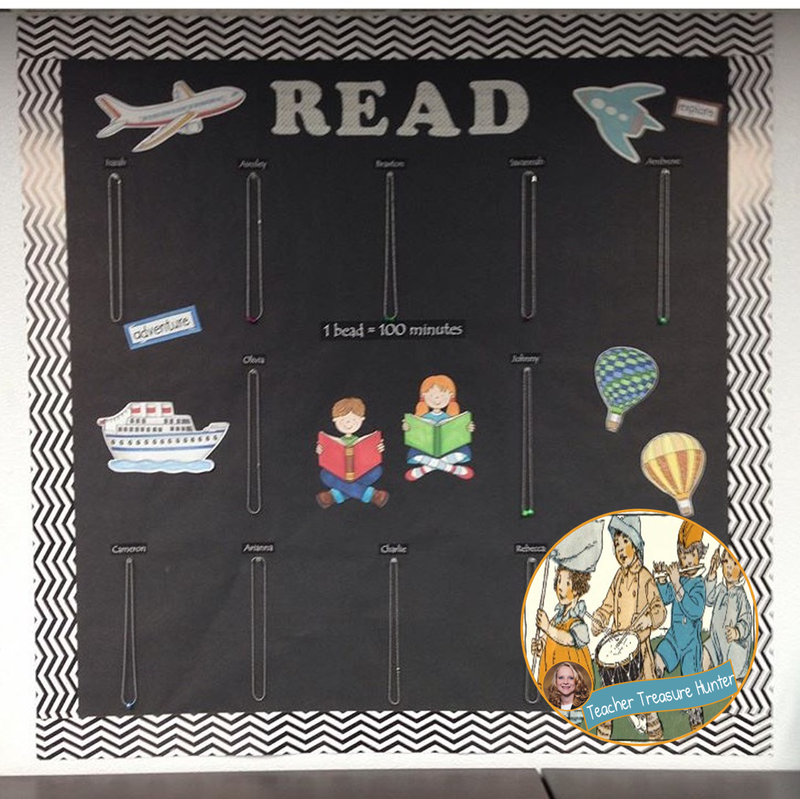 My school had a reading tool that they used. I have searched for the actual item on the internet and haven't found it. If you know what it is, please let me know! We called it a reading machine. You had a reading passage that you would feed into the top of the machine. It would roll around a large cylinder and only show you a line at a time. It would continuously advance based upon the reading rate for which it was set. Once you finished "reading" the passage you would take a comprehension quiz. If you passed the quiz (I can't remember if you needed 100% or some other passing grade) you would advance on to the next speed. Now, I am not recommending this method and haven't thought about it in a while. I wouldn't say I was reading for enjoyment at all, but I did learn to skim passages quickly which is a great skills for more advanced courses. I loved it. I loved challenging myself to advance to the next level. It was like a game. A game for good readers. I'll share a few tips below for individual competitions. Fast forward to last year in my 3rd grade classroom. 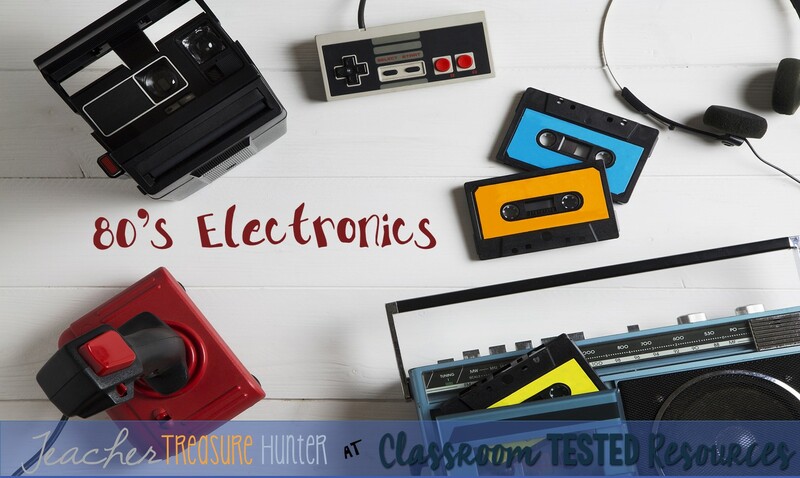 We use Scholastic News and last year we really enjoyed all the benefits of using the additional resources in the electronic version. The students loved voting on issues and seeing if their results matched the results of kids around the world. The other thing that was a huge hit were the quizzes. I didn't start out doing them all the time and then the kids kept asking for them. I was completely sold on this version of quizzing when I saw some close reading taking place. The game board has different point rewards for each category. The least complex questions would gain the fewest points, etc. I would divide the class into teams. The team (either a team representative or someone I chose) would choose the category. I would display the question and the team would decide on an answer. 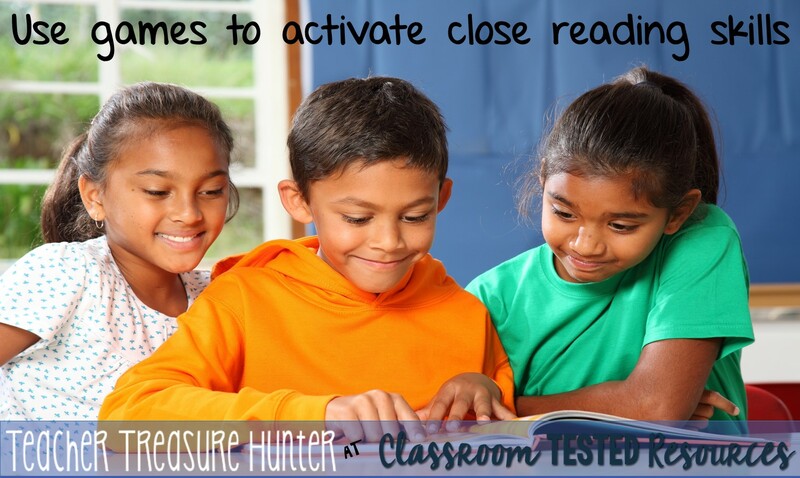 If they didn't immediately know the answer, the whole group would grab their Scholastic News and start searching and reading everything again carefully! That's what we are always hoping they will do! I think some competition can be valuable. You can compete against others or top your own records. For individual competition, my students enjoy a reading board that has bead chain necklaces. They get a bead for each 100 minutes that they read. They get a special bead or charm for each 500 minutes that they read. Some of my students have been very motivated to read as they see others start to fill their necklace. Team competitions can be a quiz like the ones I mentioned or a variety of learning games. Make sure the teams are fair and change players at times. Be mindful of any team winning all the time. Then you would want to switch things up and make it more equitable. 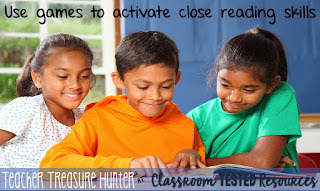 In my classroom, adding the element of competition has also shown increased engagement, an opportunity to practice teamwork, purposeful answers (to make sure they get the points) and reading things more carefully. 1. 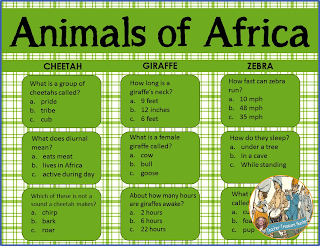 Create a quiz using this powerpoint template (or use the included African Animals quiz and research pages). Just click on the picture above to download this quiz and 3 African animal research papers. Click here to get a powerpoint with the blank game board. Just add your own text boxes. 2. Everyone reads the passage silently (chapter, multiple passages, etc.). Tell them there will be a game with questions from the passage so they need to read carefully. 3. Divide the class into teams (2-4 teams). Choose a team to start. 4. Show the board. The 1st team chooses a category and point value. They can look back to find the answer. Designate someone as an official team spokesperson (someone who will listen to others). Ask, is that your final answer to make sure the team agrees. If they miss it, you can tell the answer and/or show where it is in the passage. The team only gets points for the correct answer. 5. The team with the most points wins! I loved the reading machine! I took a speed reading class in HS and we used a machine that sounds exactly like your description. It encouraged you to read in chunks rather than word by word to increase your speed. I hope someone can recall the name of it.